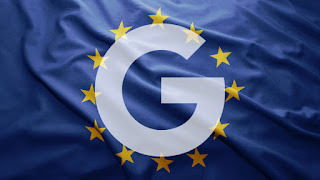 Brussels launches its strongest offensive against Google. The European Commission is now ready a record fine for U.S. giant for abuse of dominant position through Android, its mobile operating system, which use virtually all less Apple manufacturers. The technological signature requires brands that use this system default installation of ir own applications like Google search engine or Chrome browser. This is one of practices that European authorities judge against competition and which worth greatest punishment imposed by an antimonopoly case (about 4 billion euros). The previous record was also reached by Google. The decision stresses even more already complex transatlantic relationship. The Android process is now completed, after several years of research, and decision is expected to be communicated on Wednesday, as country has been able to know. The European Commission was clear that it would close case before holidays, but had hesitated to impose sanction on American firm last week or this. The level of confrontation reached with US President Donald Trump's visit to NATO summit in Brussels advised him to postpone fine. The Community executive has tried, at same time, to take away as much as possible this initiative from visit that President of this institution, Jean-Claude Juncker, will make to Trump next week in White House. Both institutions confirmed this Tuesday that meeting will be held on 25 July. However, effect it causes in spirit of American tycoon is uncertain. The great technology has never been Trump's favorite sector, which was very close to former president, Barack Obama. The penalty for abuse of dominant position with Android will surpass 2.424 billion taxes in 2017 also to Google for systematically favoring Google Shopping, its service of comparison of prices. The reason is that scope of Android case is much higher than price compared, since 90% of mobiles in Europe incorporate Android. And that quota has grown vertiginously in recent years.